Much has been written on forgiveness. It is a well debated subject, particularly in religious terms. 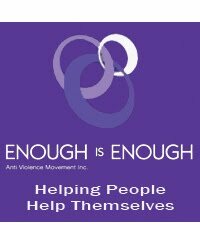 This article represents exerts from "Turn Pain into Pow.R" a book written by Ken B Marslew, CEO of Enough is Enough. What is forgiveness? In my opinion, as humans not deities, small issues - and remember issues or situations that cause pain or concern are relative to the person it happens to - can be forgiven. A major situation or betrayal may be harder to forgive. Often we need to forgive ourselves for our own transgressions. Religious groups say you must forgive to move forward. Let’s look at this in a more logical way. When an incident or situation occurs, what is the truth? What happened, how did it happen, and where does the responsibility lie? It is hard to accept the truth. Then comes our values. What do we believe in, how does our values system tell us to act, and what is the value of that action? Morality is part of our values system. Like justice, it has a different meaning to different people. What has happened has happened, and nothing will change it. The only thing that can change is the way we think about it. When we find someone to place the blame on, we can think about revenge, or getting even in some way. By developing hate, what will we achieve? Often very little. Who does hate hurt the most? The person doing the hating, not the person being hated. So if hate hurts us the most, why would we continue to hate and hurt ourselves? As humans, we are selfish. We are constantly looking for a payout from our activities. Even the most saintly have expressed the opinion ‘I feel good about what I do’. Letting go of hate would seem to me a more practical way of moving forward. The world talks about justice. Again, justice means different things to different people. Justice begins where revenge ends. Peace is the passionate pursuit of justice – American Indian Proverb. In summary, when we reflect on our own lives, we seek a level of personal comfort. Part of that is being able to live with ourselves and be happy. In the end, how well did we live? How well did we love? How well did we learn to let go? It’s up to you how you deal with life’s challenges, no one else. Accept responsibility and make a positive contribution.